Ear seeds can be applied to the external ear for constant acupressure on specific ear points to elicit a therapeutic response. Ear seed kits for at-home application are available for purchase in the clinic for the following specific conditions. 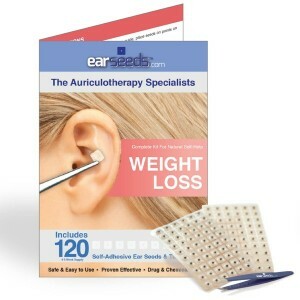 Each kit contains ear seeds, tweezers, and an ear chart showing auriculotherapy points that are believed to correspond to regions of the body related to that specific condition. Schedule your appointment today to inquire or purchase your ear seed kit!